Warm weather, dining al fresco and bountiful summer vegetables overflowing on our plates… Hey, summer is right around the corner! But are you uninspired by the same-old vegetables? Dressings are a simple and healthy way to reinvent your favorite vegetables and fall in love with them all over again. Try these dressings in the winter on your vegetables too. Steam or bake your veggies and add a new dressing to make them seem brand new. 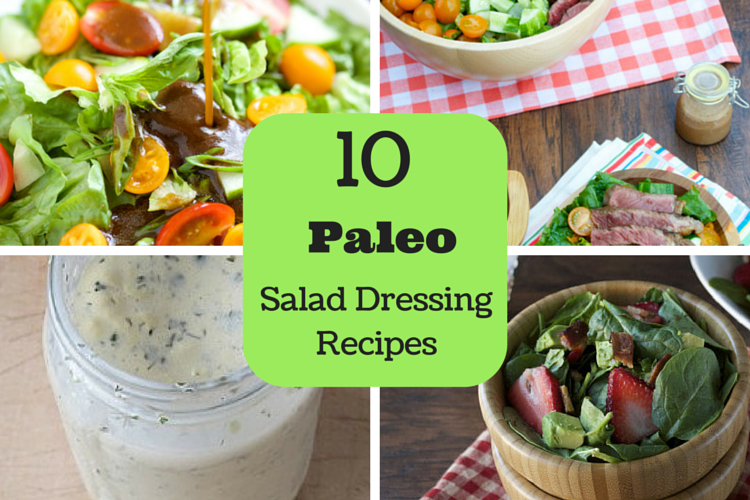 Today I’m sharing 10 favorite paleo salad dressing recipes from some recipe blogs you’ll want to try. These simple dressings can go with nearly any combination of vegetables so get creative! Try a couple of new vegetables this month. Your body will thank you for the nutrients it may have been missing. 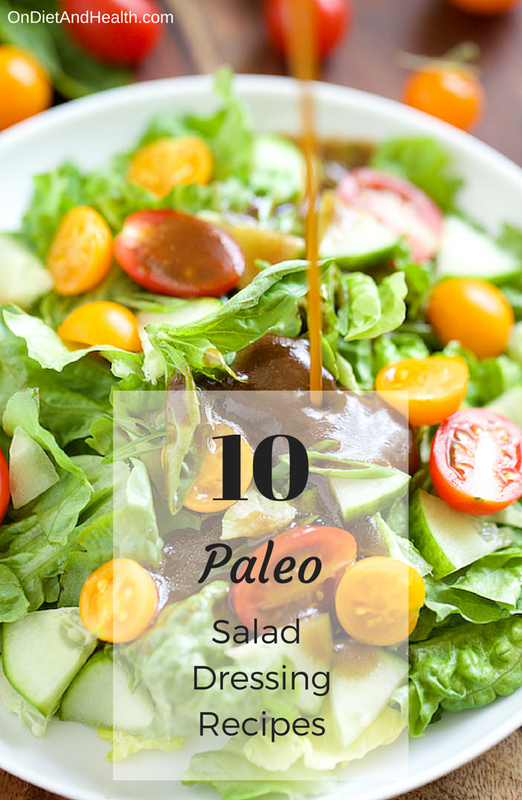 Pair vegetables with a healthy fat in the form of a paleo salad dressing and you’ve got a winning combination. Fats help make the foods we eat more digestible and available to our bodies. We can extract and utilize the vitamins and minerals better with fat. 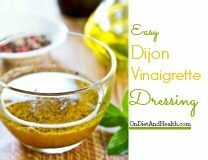 Salad dressings are quick, tasty and fun to make! Give one of these a try and see if you have a new favorite. 1. 2 Ingredient Balsamic Vinaigrette – This is my kind of recipe. Easy and fast. I love that it can be made in just a couple of minutes and mixed in a mason jar. No extra dishes! 2. Paleo Avocado Dressing – Avocados add a wonderful, rich flavor to any dressing. The creaminess of the avocado helps it stick to the food too. Throw the ingredients in a blender and go. Easy! 3. Carrot Ginger Dressing – This recipe sounds fancy but requires little effort. Carrots and ginger have a little sweetness making this dressing perfect for any vegetable or salad. 4. Paleo Tahini Salad Dressing – Tahini is similar in texture to nut butter and is made from sesame seeds. It’s a great source of calcium. With just 6 simple ingredients this tahini dressing can be thrown together in a hurry and adds a creamy richness to your favorite veggies! 5. Tangy Poppyseed Dressing – This dressing just says…. summer! Pair this tangy dressing with a summery salad full of your favorite vegetables. The author suggests a strawberry & spinach salad. Yum! 6. Homemade Ranch Dressing – Who doesn’t love classic ranch dressing? Simple homemade mayonnaise is the base. 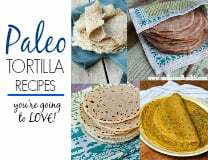 I like that this is made with dried spices that are already in the pantry. No buttermilk on hand? Dairy free? Substitute coconut milk in its place. 7. Paleo Balsamic Bacon Vinaigrette – Anything with bacon in the title is sure to be a winner! This dressing calls for only 2 ingredients which makes it fast and easy to put together. The author gives a few suggestions for adding another level of flavor. 8. Mint Maple Vinaigrette – A touch of organic maple syrup and fresh mint turns this dressing into something special! This dressing can be tossed with fresh vegetables or pair it as the author suggests, with a big pan of roasted root vegetables. 9. Caesar Dressing – A good caeser salad reminds my of eating at a fancy restaurant. Who knew caesar dressing was so easy to make? 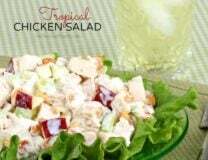 Change the ingredients to adjust the taste to create your perfect salad. 10. Everyday Creamy Italian Dressing – Italian dressing is a great ingredient to have on hand. Make a batch of this at the beginning of the week, toss in your greens, add a protein and enjoy a quick and simple meal.